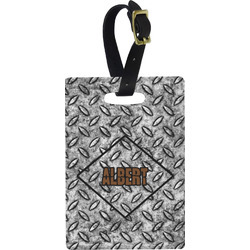 These rectangular luggage tags are made from a fiber reinforced plastic; they are UV resistant, waterproof and durable enough for everyday use or for the travel demands of the wanderlust warrior!. 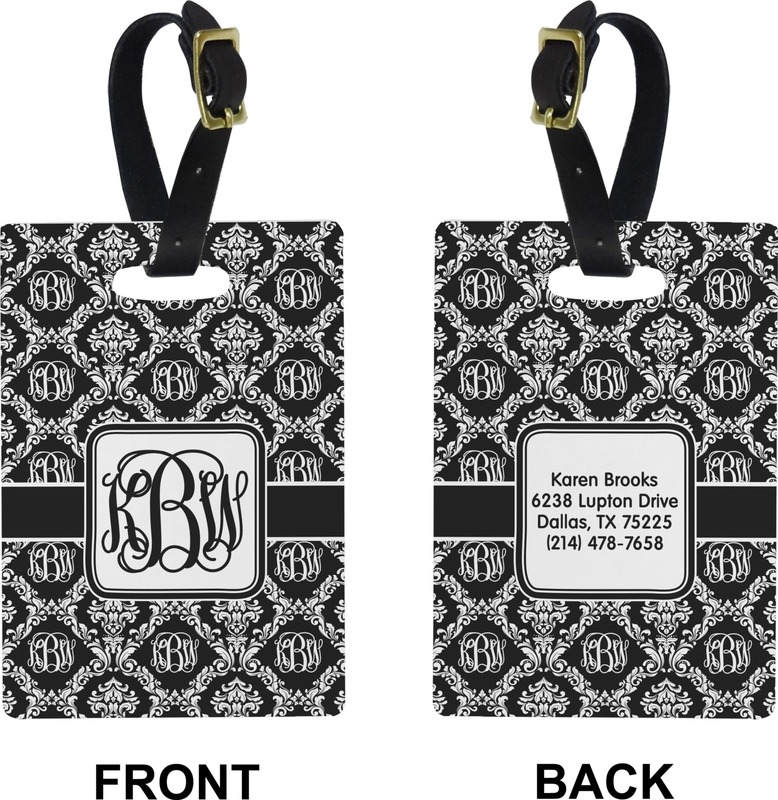 The tag is decorated on both sides, usually with a design & some form of personalization on the front and contact information on the back. 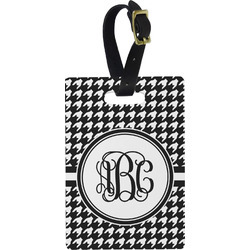 I just received the monogrammed luggage tags I ordered and they look great! I was afraid that my address on the back of the tags would be too small but it turned out to be a perfect size...easy to read yet not so big that everyone at baggage claim could see where I live! I highly recommend this company and will definitely do business with them again! Adorable, but unless I am missing something there is no place for name and address? It does help spot luggage on the carousel but not for identity purposes. Very fast service! 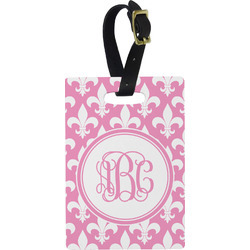 Was contacted almost immediately to confirm color and name selection for the personalization. The tags arrived a couple of days later and are a big hit.